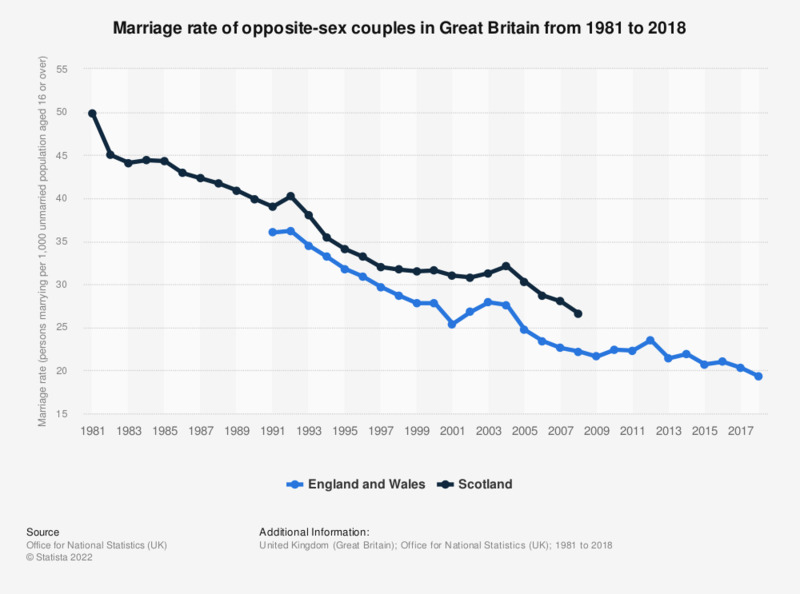 This statistic shows the marriage rate in Great Britain from 2000 to 2011. Marriage rate is defined as the amount of people marrying per 1,000 unmarried people in the population aged 16 and over. The trend is downward, with an overall fall of 7.8. There were two periods of increase though. Most notably from 2001 to 2003 when the rate increased by 1.1. *** Data from 2009 to 2011 are not available.